Don Francisco's Coffee has a great contest on their FB page. You can share your favorite coffee pairing or personal recipe for a chance to win coffee and be entered for the grand prize, a six month supply of coffee and a new Krups brewing machine. The best part... for each recipe entered Don Francisco's Coffee will donate five dollars to the LA Food Bank. 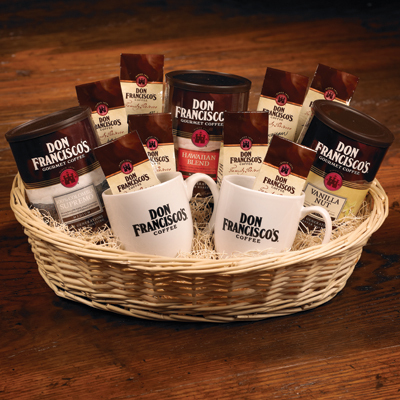 In celebration of their contest Don Francisco wants me to giveaway two coffee baskets! All you have to do is visit Don Francisco's Pair Nation page and either enter the contest (if you live in California or Arizona) or vote for your favorite. Leave me a comment telling me you entered or telling me which pairing you voted for. If FB is not your thing than visit Don Francisco's Coffee and tell me which coffee you would love to try. I will randomly pick two winners on November 15 at 11:59pm and email you if you win. US only. Don Francisco's french roast with french vanilla creamer...and a side of toast with butter! *no monetary compensation was given for this post. A basket was sent to me for review purposes. The app on Facebook wasn't working it had a message saying that it wasn't applicable for my country? Well, if it had let me vote, the croissant and kona blend would be my favorite pairing. I'd love to try the vanilla nut! Thanks for hosting! I voted for Chocolate Swirl Cheesecake and French Roast Coffee. I entered the contest. I think that the pairing of a croissant and kona blend coffee would make me smile the most! I voted for Macaroon and Latte-yum! A cup of freshly brewed Colombian coffee and a lightly toasted almond croissant is a perfect way to start my weekend. What makes it even more special is that I get to enjoy it al fresco right in my backyard while reading the paper. It’s my cup, my time, my weekend. I was vote #2 for the Cupcake coffee and rum cake! i voted for the spicy soy bbq sauce. 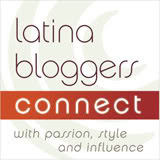 I voted for the Chocolate swirl cheesecake and French roast coffee on facebook! (JoAnna Danna). Thanks for the giveaway I love coffee!